A coroner’s investigation into the death of an Ottawa teen who died while attending the Osheaga music festival has found no foul play was involved. 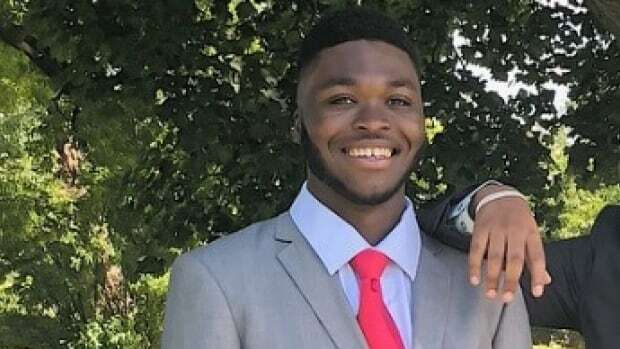 Collins Obiagboso was last seen on the night of Aug. 3, the opening night of the outdoor music festival in Montreal’s Jean-Drapeau Park where he was celebrating his 18th birthday. Obiagboso’s body was found in the St. Lawrence River three days later. Quebec Coroner Gilles Sainton ruled the man’s drowning was likely accidental, as there was no sign of defensive injuries. No drugs or alcohol were found in Obiagboso’s system, but the report indicates that the man was not a strong swimmer. Obiagboso’s friends said the young man had been feeling overwhelmed the last time they saw him and left the Osheaga crowd, but the coroner did not find out precisely why he left. It was a hot night in Montreal — 25 C, according to the report — but Sainton was unable to determine if Obiagboso intended to go into the river to cool down or if he fell in by accident. There was no indication that his death was a suicide, the report concluded. Obiagboso, who had graduated from De La Salle high school in Ottawa’s Lowertown, had planned to attend university this year, according to his mother, Georgina Mensa Boboe. Boboe immigrated from Nigeria to Canada when she was pregnant with Obiagboso, with hopes of giving her child a better life in Canada. He was born in Montreal seven months after she arrived, later living in Calgary before the family settled in Ottawa. “Collins was a loving and caring and gentle and kind-hearted young man,” Boboe told CBC last August.